The Watson College joined a select group of 24 institutions as a Hattie M. Strong Foundation partner in 2013. The partnership allows WCE to offer $5,000 scholarships to outstanding pre-service teachers in the internship semester. Scholarships are awarded to students with strong academic performance, who show promise to be outstanding student interns and classroom teachers. Please join us in extending congratulations to spring 2019 Hattie M. Strong scholarship recipients. Alexis Carter, Alixandria Moore and Anna Romspert. Alexis Carter is a senior, enrolled in WCE’s Special Education program, minoring in Applied Behavior Analysis. She is from Whiteville, North Carolina and chose to become a special education teacher with the purpose of guiding and influencing students with special needs to a successful future. Carter said faculty, courses, and field experience placements have helped her prepare for her future career, and a highlight was a trip to San Pedro, Belize with UNCW's Study Abroad Program in July 2018. Carter said she feels honored and blessed to receive the Hattie Strong Scholarship, which will help ease the financial burden during her internship semester. 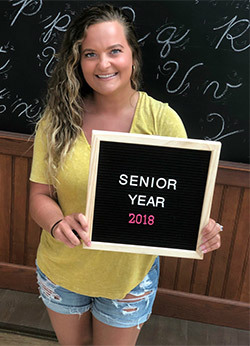 Following graduation in May, she looks forward to teaching special education at a high school in Columbus or Brunswick County. Alixandria Moore is enrolled in WCE’s Middle Grades Master of Arts in Teaching program with concentrations in language arts and social studies. She is from the small town of Troy, North Carolina and holds a bachelor’s degree in Fine Arts in English from UNC Greensboro. Moore is a self-described poetry nerd, who says a teacher in middle school helped her realize her love for literature and helping others could lead to a rewarding teaching career. Moore said WCE’s MAT program is the perfect bridge into teaching. 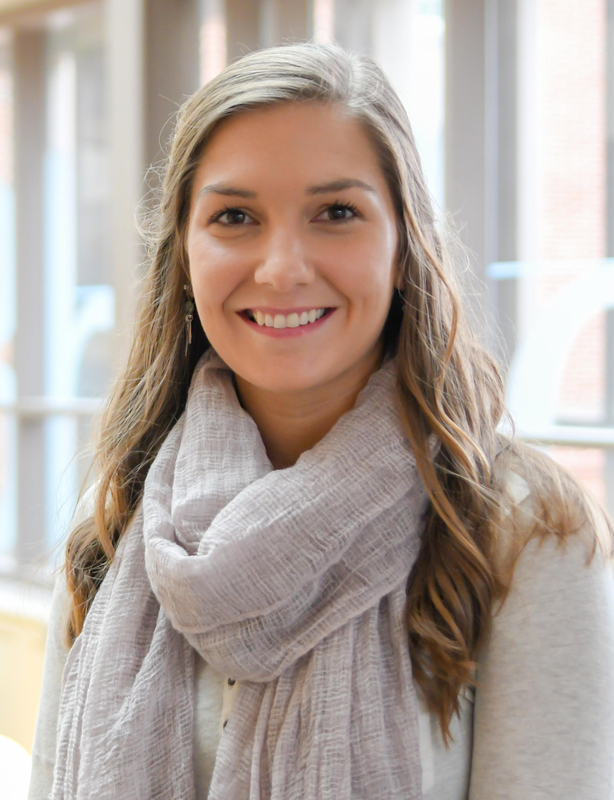 While enrolled in the MAT program, Moore worked as a graduate assistant in WCE’s EEMLS department, worked closely with professors on research projects and participated in a study abroad trip to the Netherlands; an experience that she said has changed her life forever. Moore said she is incredibly grateful for the Hattie Strong scholarship. 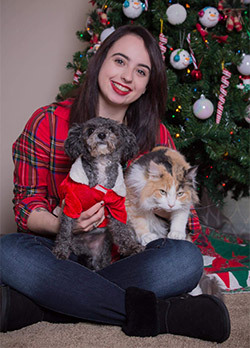 Anna Romspert is a senior enrolled in WCE’s Elementary Education program. She was born and raised in Newport News, Virginia and attended high school at PA Cyber Charter School in Pittsburgh. A love of children and desire to make an impact in the community drew her to the field of teaching. “Children are the future of this country and the world and I think it is our job to shape them into educated and good people,” she said. Romspert chose UNCW’s Watson College for the location, the extension program and the opportunity to complete some of her coursework online. She said WCE’s faculty and extensive field placement opportunities have helped her grow both personally and professionally. Romspert said the Hattie Strong scholarship came at the perfect time. Romspert’s career goals include teaching first or second grade, and eventually returning to school for a master’s degree in special education. “I love helping people and I feel like I can always do more,” she said. Since 1928, the Hattie M. Strong Foundation has helped aspiring students achieve a college degree in their chosen field of study by providing interest-free loans with flexible repayment terms. In 2009, recognizing the alarming debt loads of recent graduates, the foundation’s board of directors moved to offer scholarships instead. Today, HMSF’s primary activity is the administration of a scholarship program aimed at college students enrolled in teacher training programs at partnering institutions. Partner colleges are selected based on demonstrated leadership in preparing outstanding classroom teachers. A specific goal of the foundation is to help reduce financial pressure during the student internship semester, when a student’s ability to offset expenses with outside employment is curtailed by the rigor of full-time work in the classroom.